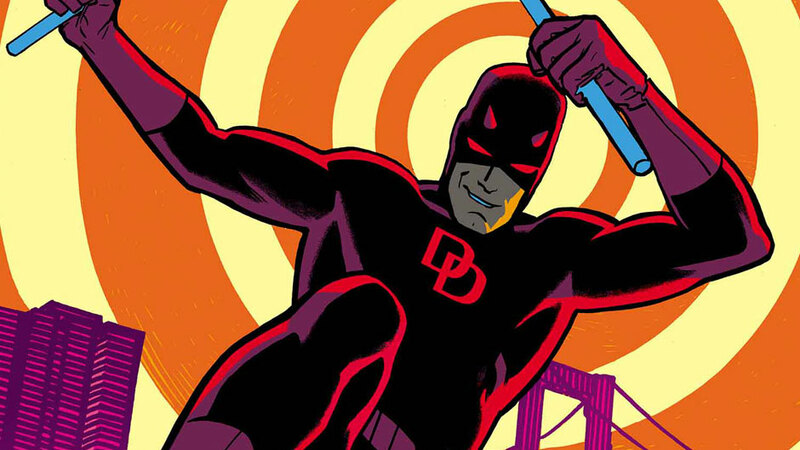 This week’s minorities in cartoons entry is Daredevil (real name: Matt Murdock). Nicknamed “The Man Without Fear,” Daredevil first appeared in “Daredevil” #1 (April 1964). He was created by Stan Lee and Bill Everett. Finding out his father was killed after refusing to throw a fight, Matt used his abilities to track down the killers. Matt also underwent training from an also-blind martial arts master named “Stick.” Matt became the superhero known as Daredevil. However, he also went to college to study law, becoming a highly reputable lawyer. Daredevil’s most famous comics run came in the early 80s under writer Frank Miller, revamping the hero into having a darker, more anti-heroic edge. Matt also shares an archenemy with Spider-Man in New York crime boss the Kingpin. Daredevil’s first animated appearance was in the 1980s series “Spider-Man and His Amazing Friends.” Frank Welker voiced Matt. In 2003, Ben Affleck played Daredevil in a movie (of the same name) that, shall I say, was less-than-stellar. In 2015, a made-for-Netflix TV series featuring Daredevil debuted. The TV series ties into the Marvel Cinematic Universe and features Miller’s dark tone. The series used handwaving to explain its now-outdated, Miller-era portrayal of Hell’s Kitchen as a seedy area. In real life, the neighborhood became a gentrified, upscale neighborhood many years ago. British actor Charlie Cox plays Matt.